For those kids getting ready to head off to college late this summer, it’s about time to start thinking about all the necessities. Really, there is so much stuff these kids need, that in order to avoid sticker shock, it’s probably best to avoid one big shopping trip to Target! 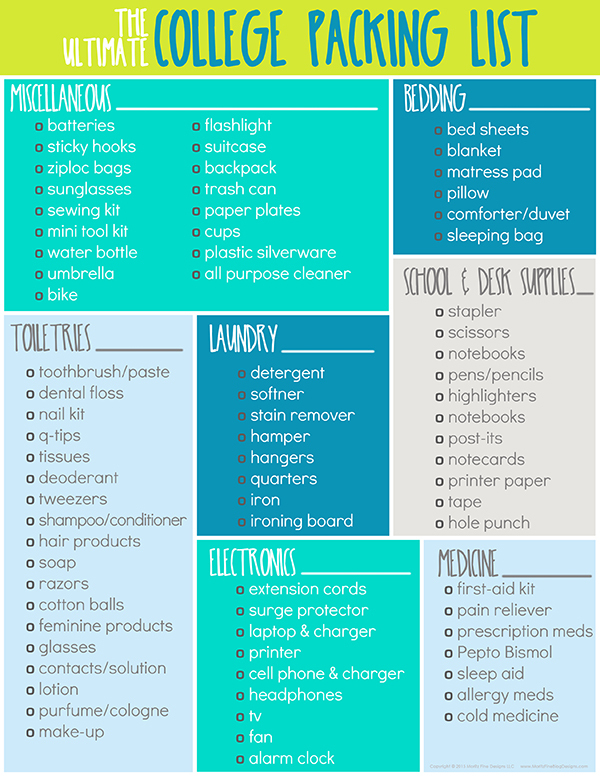 Use this free printable Ultimate College Packing Checklist to start gathering all the college supplies. 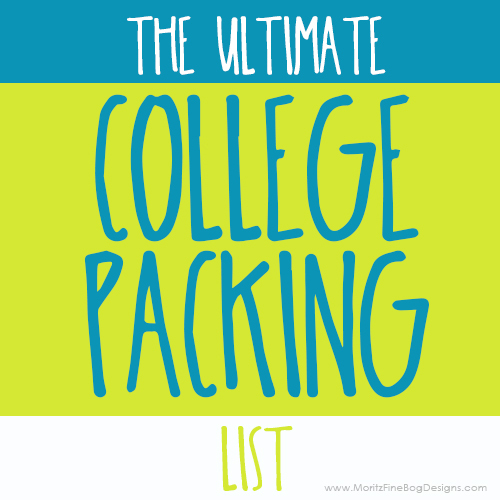 Keep a copy of this College Packing List with you throughout the summer. Pick up a few items here and there when you are out shopping. Also, pick a corner of a room in your home to set aside and start gather the college supplies as you purchase them. When the week before it’s time to send off your college kid, you will avoid scrambling around town to get everything purchased! Thank you for this post! Your check list is great and was very helpful for me and my daughter while we were organizing her first year moving in to university dorm. As long as she doesn’t have too much stuff and packing was easy and fast, we needed just basic guidelines to follow, just in case e forget something. The moving went smooth and we didn’t have big problems at all. Thank you for sharing. Greets! Glad the packing went well, Marie. And I am sure hoping you’re not feeling too lonely now that she is off to school! Perfect packing list! I am traveling a lot for my college but I decided to settle down and rent a house. So finally I am moving next week. There are a lot of stuff to take with me. Thanks for the checklist, it’s very helpful!